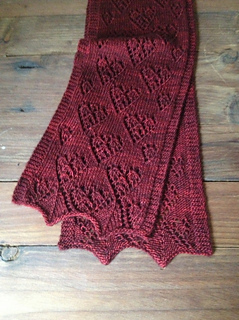 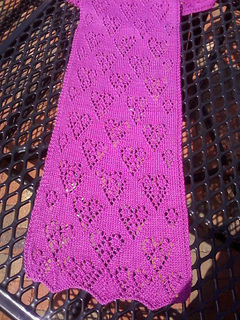 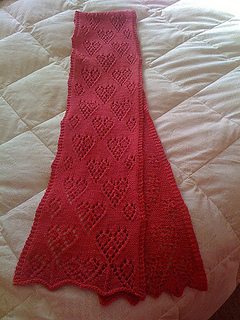 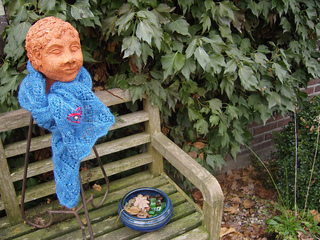 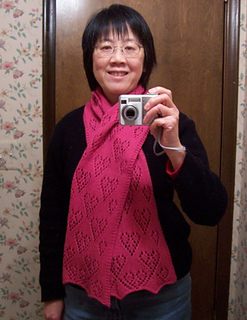 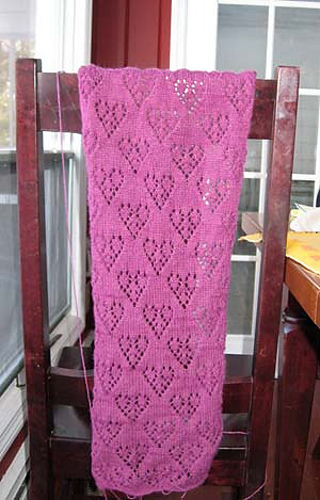 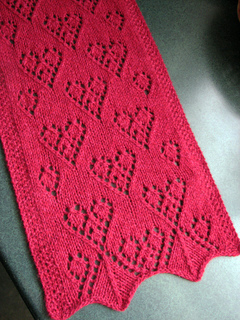 First picture here in scarf width, knit using one bag of elann.com Pianissimo. 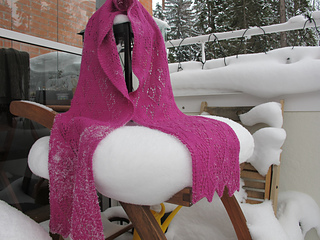 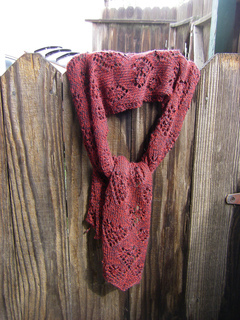 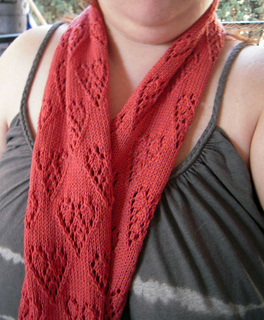 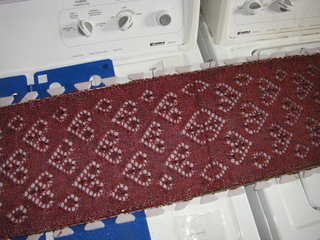 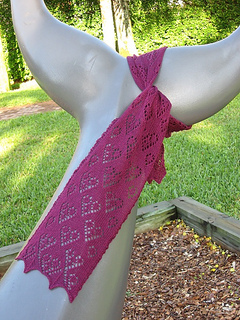 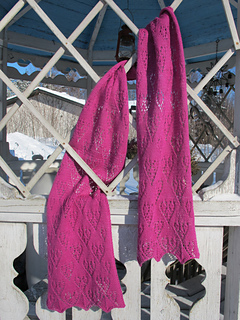 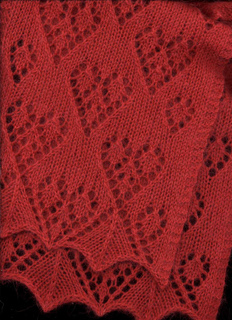 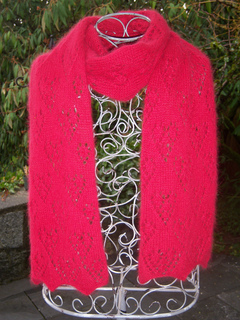 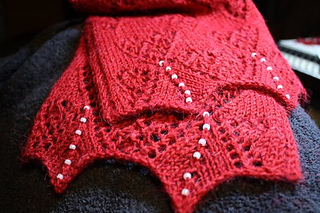 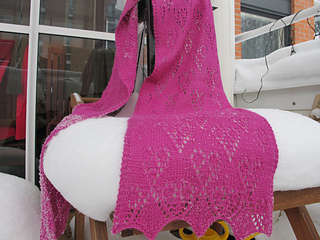 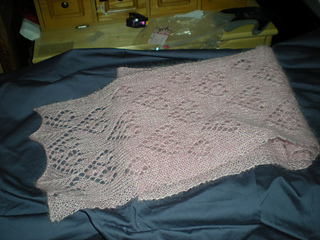 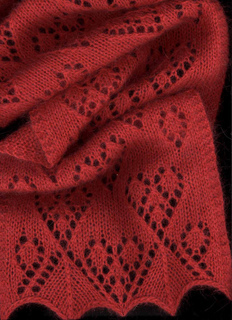 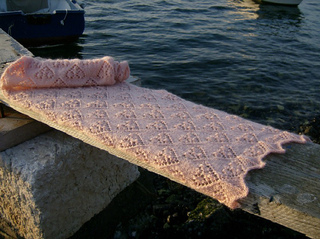 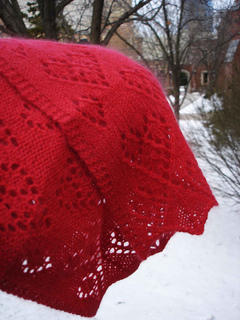 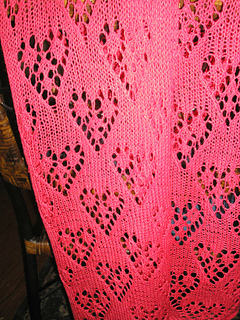 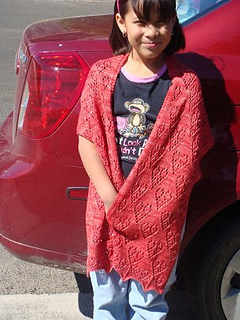 Second picture is knitted with elann Soft Embrace 4 Ply. 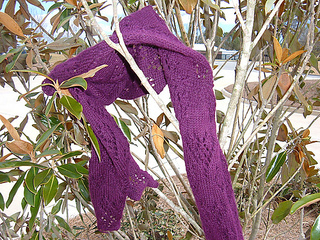 It takes 3 balls for a scarf, 6 balls for medium size and 8 balls for large stole. 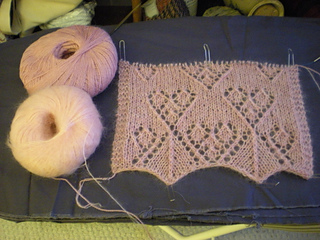 The edging on both side using 5 seed stitches instead of 3 garter stitches. 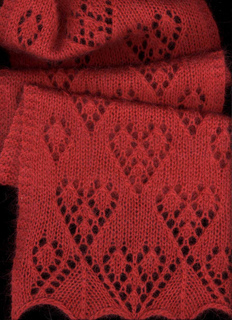 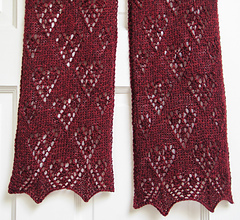 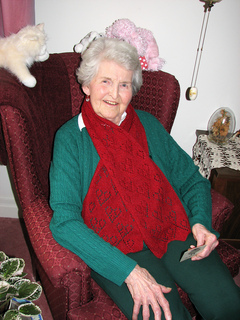 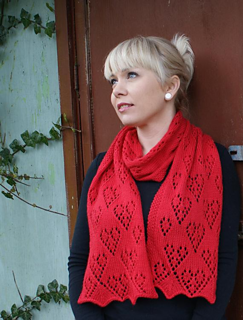 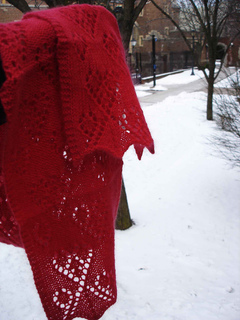 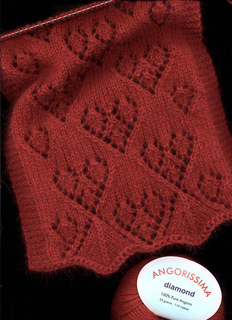 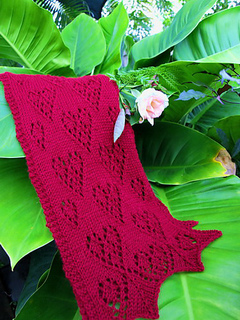 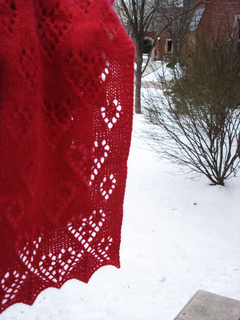 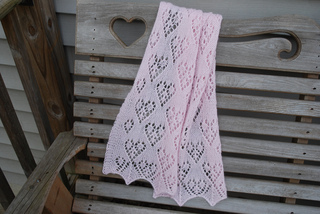 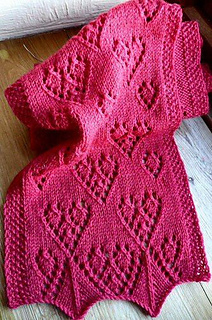 My Valentine is a rectangular shape scarf with heart and leaf motifs, knit in two identical pieces and graft together using Kitchener stitch. 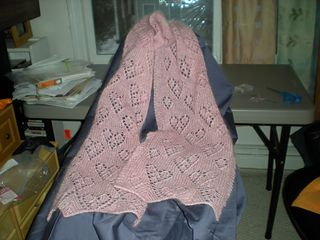 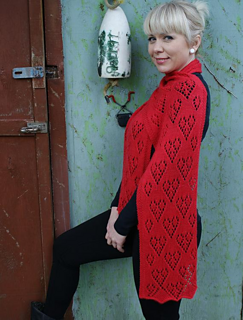 The 6 pages pattern includes both written instructions and chart.